In the movies or even when we sail on sea, we usually see birds flocking in the ocean catching their meals everytime there's a school of small fish around. 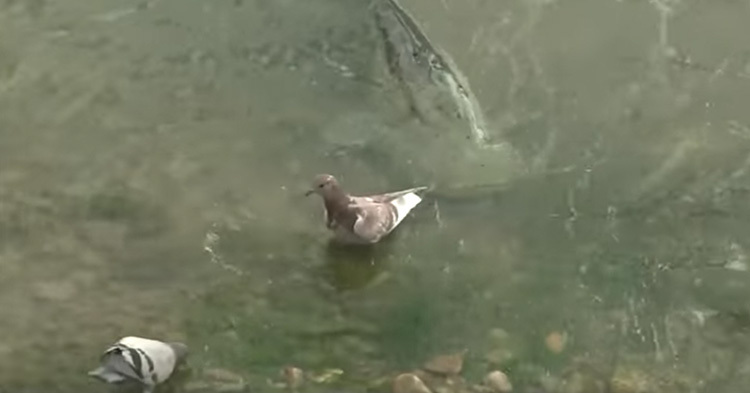 They just dive in and when they float back and starts to fly, they have a fish on their beaks. That's how easy they captured their food. 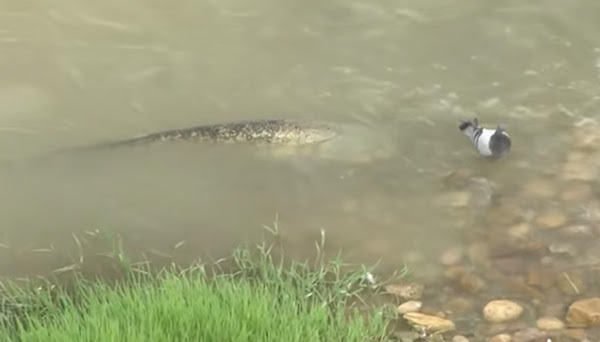 The Giant Catfish is waiting for the right time to grab its meal. But on this video by Four Seasons on YouTube, the marine creatures has turned the tides. These monster fishes hunts their prey by waiting in a shallow part of the water near the shore. The humongous fish slowly swimming towards its meal. 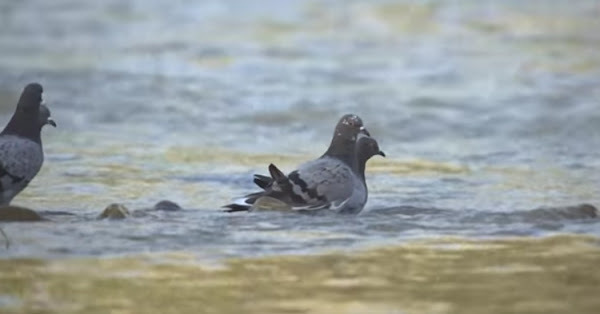 At first they will slowly swim closer to their target, and they will use their long barbels or their whisker-like sensory organs on their head to detect the Pigeon. The monster is ready to attack its prey. When they're close enough and on the right timing, they will quickly engulf their prey then swim away. Then the other Giant Catfish will wait for their turn to fill up their stomachs.